The deadline for Pioneer nominations is May 31, 2019. 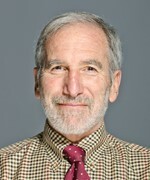 Barry E. Levin, MD is Professor Emeritus in the Department of Neurology at Rutgers, New Jersey Medical School. He is best known for his basic research in the neural regulation of energy and glucose homeostasis in animal models of obesity and diabetes. His research has focused on the physiological, neuroanatomical, biochemical, hormonal, cellular and molecular factors that underlie individual variability in the propensity to develop diet-induce obesity and diabetes. Barry has attended WCBR for more than 40 years and has served as Conference Chair and on the Board of Directors. He continues to attend WCBR following his official retirement as a means of keeping up with new developments in neuroscience, the excellent skiing and fellowship that this very special meeting affords him. 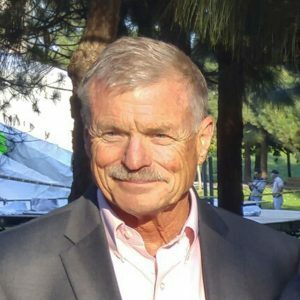 Oswald (Os) Steward, PhD is Distinguished Professor of Anatomy & Neurobiology and Director of the Reeve-Irvine Research Center (RIRC) at the University of California, Irvine. His research has focused on neuronal growth and plasticity in the mature nervous system. His foundational discovery was the discovery of local protein synthesis at synapses, which revealed a previously unknown aspect of neuronal cell biology. This has led to our current understanding that local protein synthesis plays a pivotal role in normal synaptic function, and that disorders of synaptic protein synthesis underlie neurodevelopmental disorders such as Fragile-X Mental Retardation Syndrome. Os has attended WCBR for over 35 years, organizing workshops and panels and competing in the snowboard category in the Smitty Stevens race.